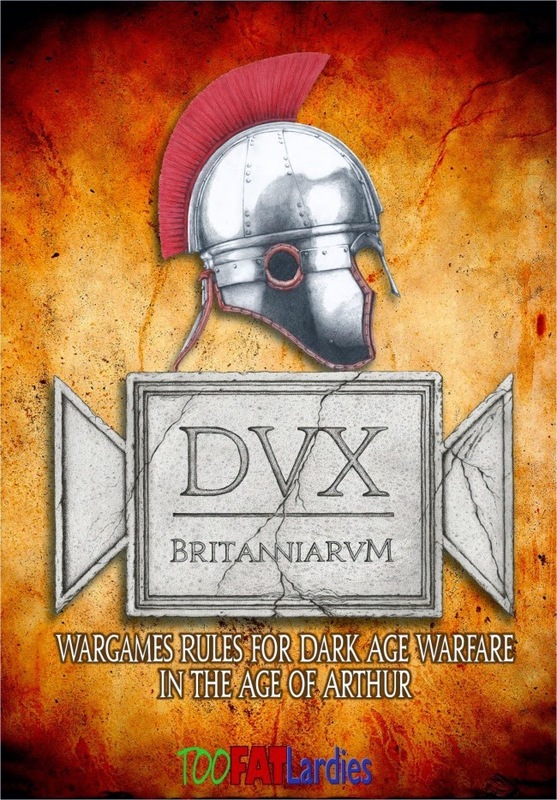 Dux Britanniarum is a dark ages skirmish game/campaign system that has been around for a couple of years. It's been on my radar for a while, so recently Matt and I set up for a raid scenario. We had previously tried a test game to get familiar with the mechanics, but that was a few months back so had forgotten most of them, but as we got into the game it slowly came back to us. The rules are relatively simple. Combat troops make up the bulk of the two opposing forces and are classed as elite, warrior or levy. These are generally fielded in groups of six, which can join together into larger formations. Each group/formation is activated by a noble or lord. These command figures have varying levels of command, which determines how many activations they can perform and how far their command reaches. When a group/formation is activated, it moves and/or fights. In combat, troops can be killed, or shocked. Kills are self explanatory. Shock has a cumulative effect on the unit, that gradually erodes their combat capability, forcing them to withdraw or even turn and flee the battle. Shieldwall on a hill, a DuxB deathstar! There are no unit stats! Movement is by dice roll so no need for a move stat. Better troops roll more dice in combat and are harder to kill, so no weapon/melee/armour stat. The shock mechanic determines how long troops stick around to fight, so no need for a morale/leadership stat. It's pretty clever stuff for such a simple mechanism. Having sung those praises, I did find the rules a little bit vague at times. Combat is an easy mechanic but it does take a bit of careful reading to understand how the units interact. There are several diagrams, but our first combat was not covered by any of them. There is a table of contents but no index, so I did spend a fair few minutes flicking around trying to find some information. There's a useful reference sheet on the back cover which I suspect will be all that's needed after a couple more games, but it does not include the force morale table which is central to the game. 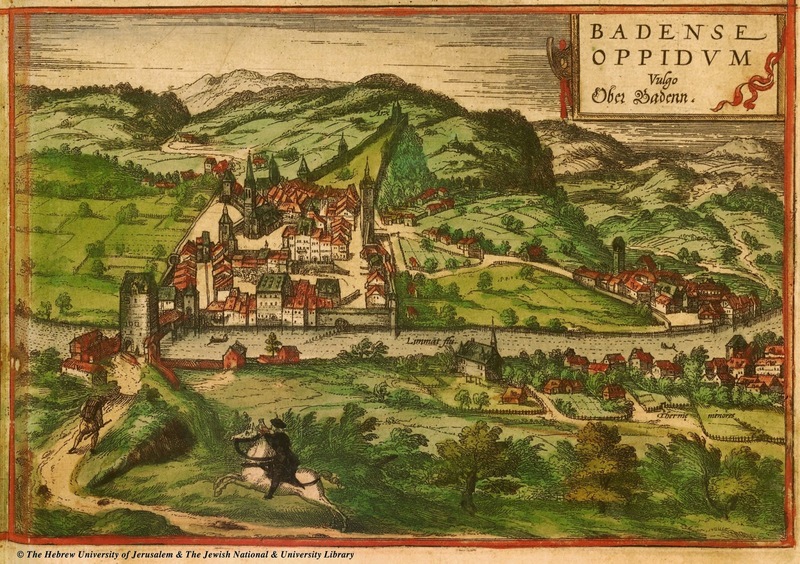 As units flee from combat, nobles take wounds, and maybe other circumstance, the morale of the force is affected. When a force morale reaches zero, it has lost all resolve and withdraws from the battle. It's probably the biggest table in the book, so should really be in the reference section. White dice as shock markers, a temporary measure. That minor gripe aside, it feels like a very solid ruleset. The basic mechanics are really rather impressive and give a good feel to the game. Troops move and act in a way that feels "right" - this is always going to be a personal thing for gamers of course, but it ticks a lot of boxes for me. And that's before we get to the scenarios and campaign system. 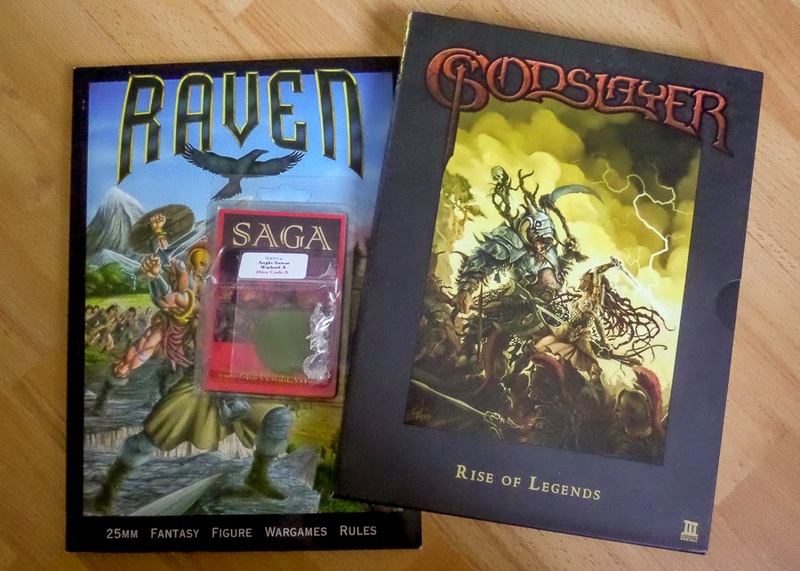 A very promising system, I am looking forward to playing more games and will be covering more detail in future posts. Time for me to go and research some suitable names for my characters. 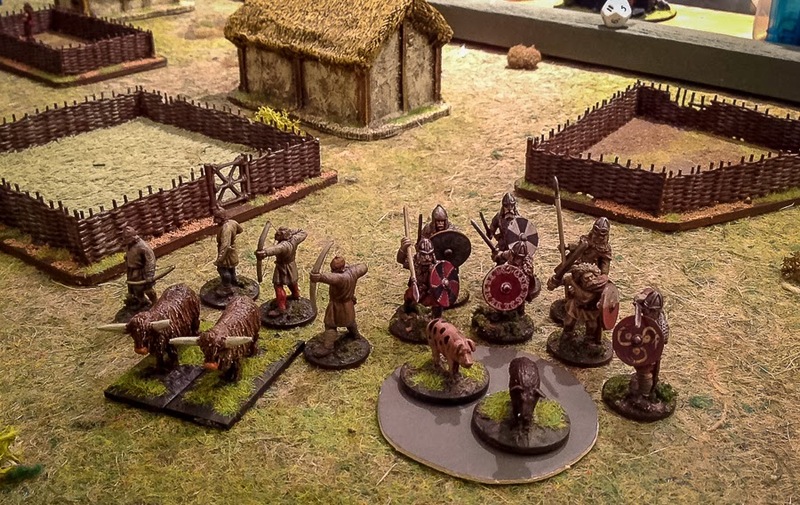 These are not strictly Anglo-Danes, they are Gripping Beast Saxons with a few Wargames Factory bits to convert them to use great weapons. They are basically to remind me to use great weapons on the Anglo-Dane lord and his bodyguard. I made and painted them very quickly, I only rarely play this faction so didn't want to spend too much time on them. 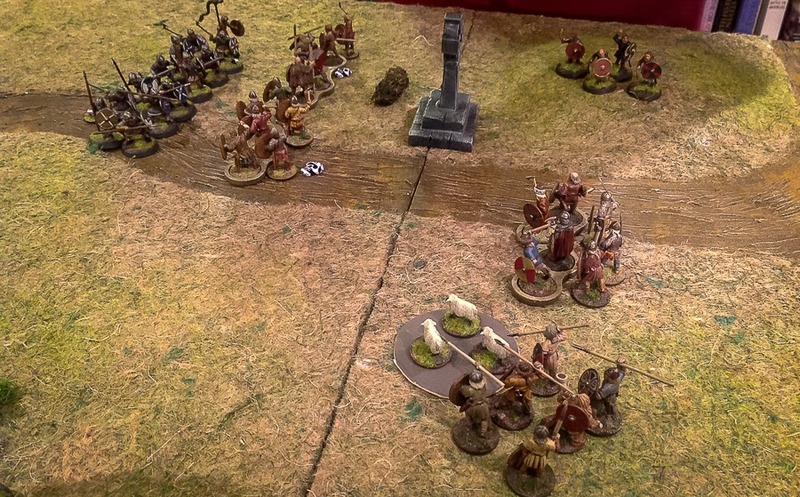 I have posted recently on my impressions of the War of the Ring battle game. In my first post I talked about the overall flow and ease of the game, in the second post I pondered the addition of characters and magic. In summary, the game is quick and easy to play - the rules are simple and there's just one chart in the whole book. Crucially, the game interleaves all phases, so players are involved far more, there's very little downtime. 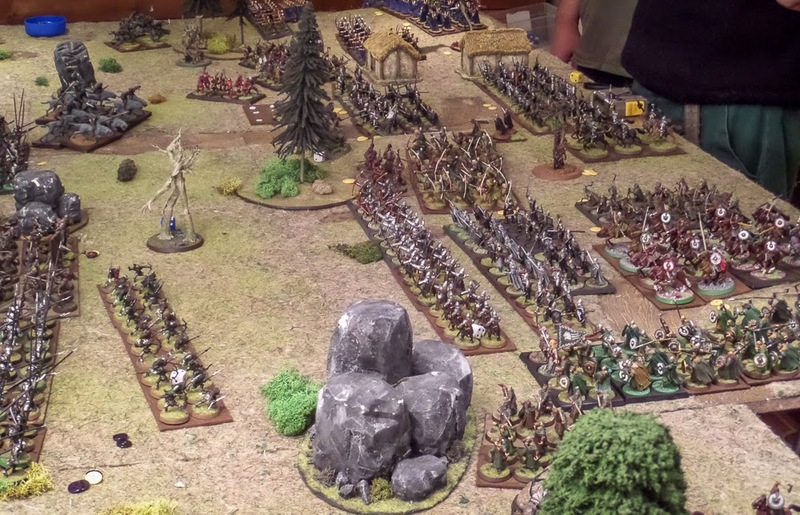 The rules scale up to big battles too - this photo is a game we played at the weekend, pooling all our figures into one mighty conflict. There are around 50 companies on each side in this game, a company is either 8 infantry or 2 cavalry models. It's probably the biggest game I have ever played in, not a bad achievement for four nerds in a basement! Of course, not everything is perfect. The game does have a few flaws, at least in my eyes. Combat resolution is an example. When combat is completed, the winner is determined purely by number of casualties. There are no other modifiers to this result. The loser rolls a single die - a 1 can lead to the unit being removed, a 2-5 can result in extra casualties and the unit is disordered, while a 6 means the unit fights on with no ill effects. There is no account taken of the margin of victory in this roll either, whether you lose by 1 casualty or 21 casualties, the roll is always the same. 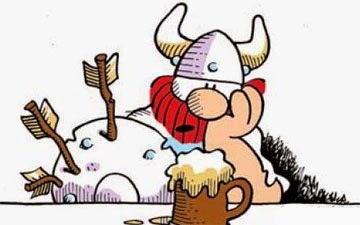 The net result is that invariably the loser sticks around for another round of combat, until he is wiped out. Opposing forces tend to meet in combat, fight for two or three rounds, until one grinds the other into the dirt. There's no fleeing and pursuing as per Warhammer. While this solves many rules problems (fleeing units seem to cause so many rules problems), it does feel a bit static and in need of some modification. The other area of concern I have is morale. There are no rules for morale in the game. There's no panic tests, no psychology, the only concession is that when the final company of a formation falls to half strength, it is removed from the board. In a big game like the one we played, with formations of 6 or 9 companies, this can seem a bit unrealistic. 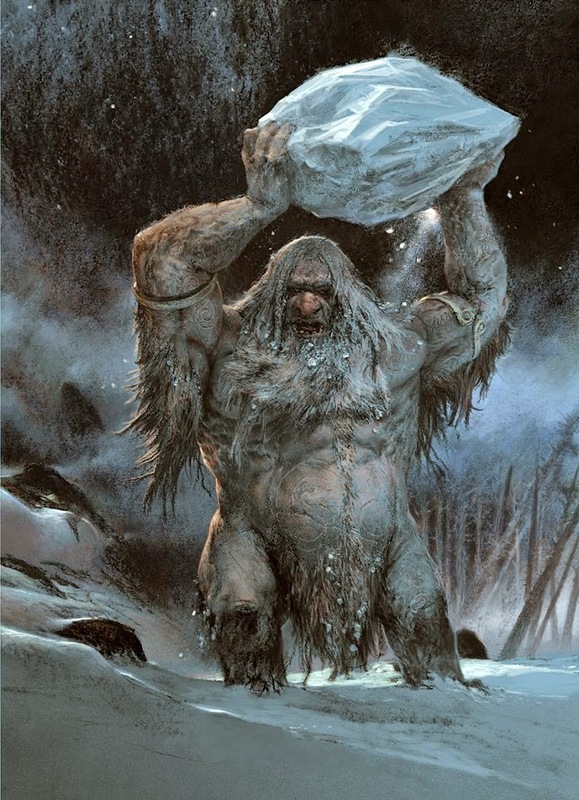 There are terror causing beasts in the game (trolls, ents, etc) but a failed terror test merely results in the unit losing fighting capacity. Psychology/battle fatigue are not really represented in the game as it stands. Overall, I like the game. 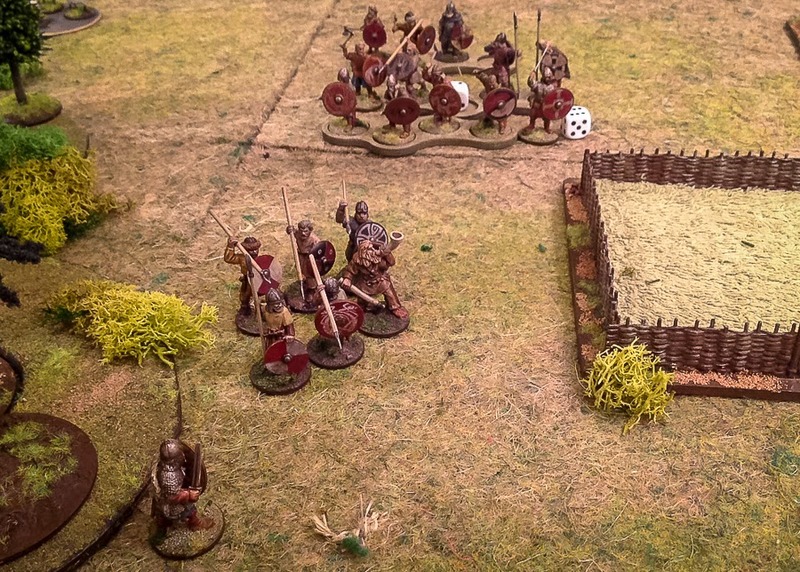 The phases order and movement rules are particularly good, combat is easy to understand and resolve, while magic and heroes can subtly alter the dynamic. 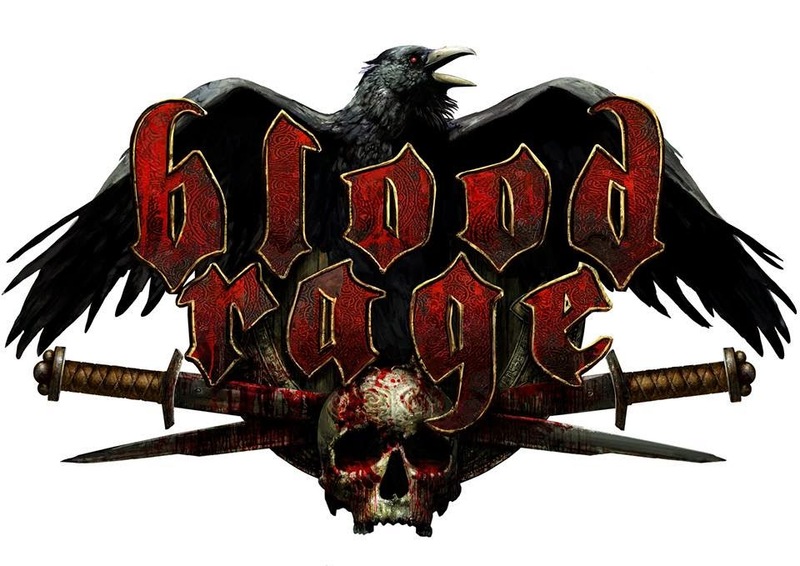 With a few tweaks to combat resolution and some kind of psychology rules, it would be an even better game. The French Legionnaires are underway proper now. 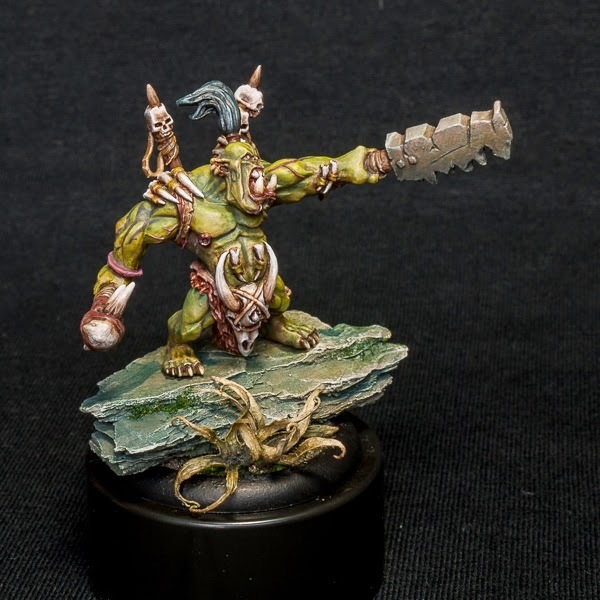 I have painted up a test figure. He's stood at the back checking his (unpainted!) rifle. With my recipe scribbled down I have started to base coat his comrades. It's not much to show really, but it does illustrate the direction I am headed. The weapons and metals still have to be finalised, but these should not cause too many problems. I might tweak the red of the shoulder pads. And I have still to decide on a base - desert as per the starter box, or my more usual grassland. I am hopeful of a more substantial update in the next few days. Progress has been slow on the Iron Scorpion painting and assembly, not helped by a week's holiday. But now that I am back at home I am raring to get underway. 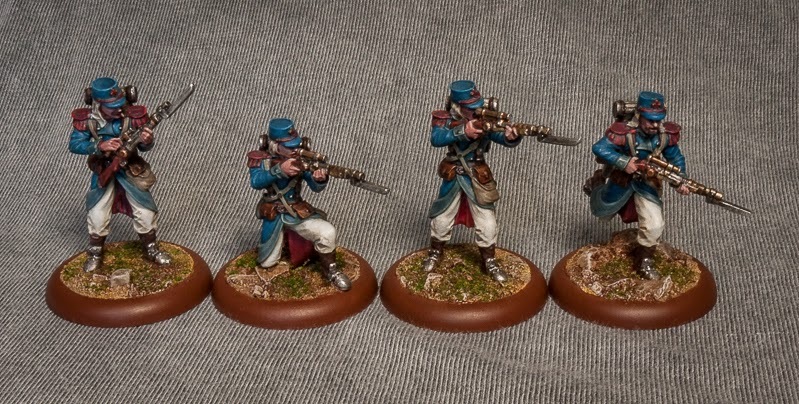 A squad of French Legionnaires is my first painting project. As usual, I started with a white primer, then washed so I could see the details. In this case, the palette will be predominantly blue so I have washed with a blue/grey colour, but wiped it off the trousers and flesh with a damp brush. This really shows the level of detail on the figures, better than the renders on the back of the box. I love them even more now. For the palette I have narrowed it down to two sources. The first is a purely historical picture, from the Putty and Paint website. 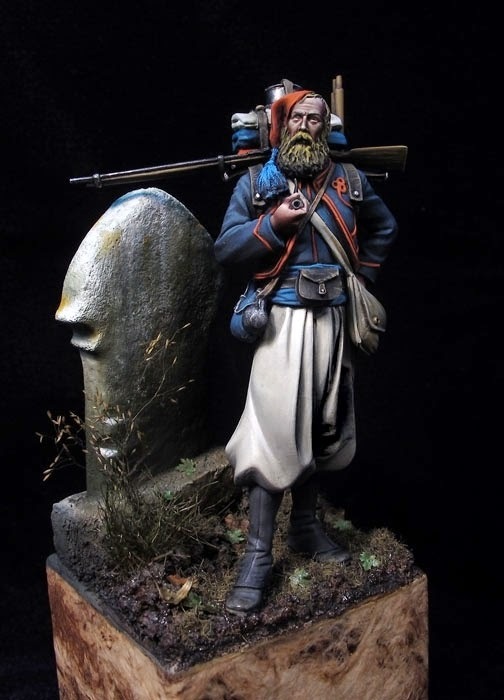 This is a French Foreign Legionnaire and you can clearly see the influence it has on the sculpts, and the reason I removed the blue wash from the trousers. This pretty much nails it for me - blue coat, white trousers, grey boots, with small flashes of red trim. 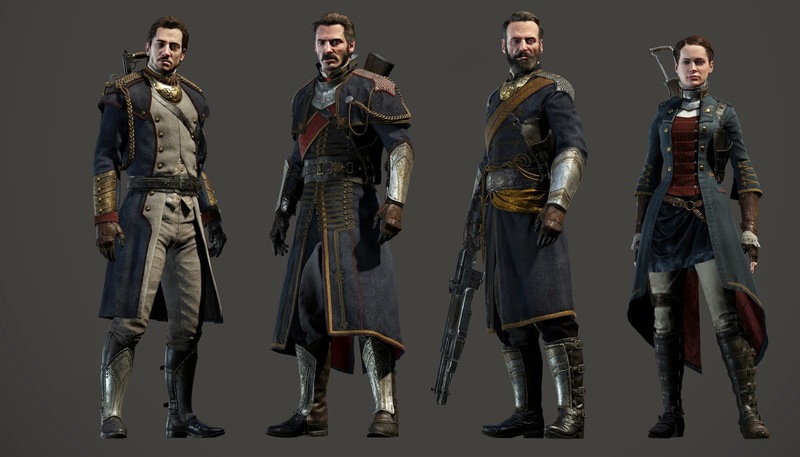 However, just to muddy the water a little, I have also been looking at some concept art for the upcoming PS4 game The Order 1886. There are plenty of trailers on youtube, it looks visually quite stunning and I have been looking at this image, wondering if I should go along this route. The female on the right is of most interest, again blue coat, white trousers but with a darker red as a lining of the jacket. Maybe flashes of gold trim, the epaulettes of the shoulder pad and other brocade could be painted this way. 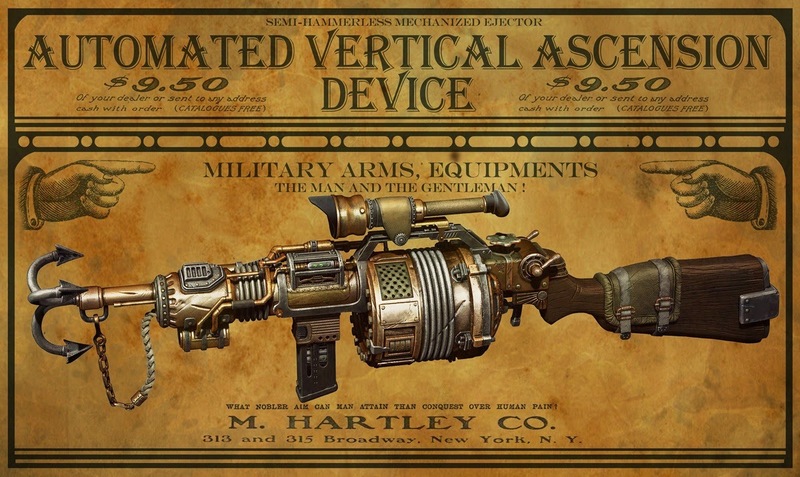 For the weapons I want a steampunk feel rather than historical, and this fits the bill perfectly. The soft gold and copper trim should contrast very nicely with the blue of the uniforms. 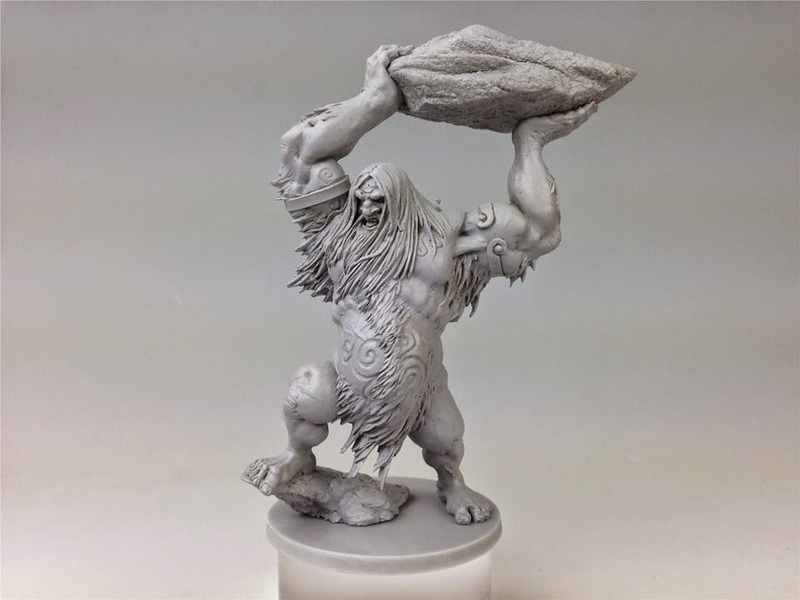 More updates soon, I am really fired up for these figures. It would be nice if I could get the majority of the French and Antarctica troops finished for xmas, but at the same time I want to take my time and paint them to a high tabletop level. The first test squad will give me a better idea of how long it will take. In this post I am not really making trees, but the magnetic bases on which the trees will stand. If you remember from part 1, the trees are based on 2p pieces, so I needed something with this size holes. My first port of call was the excellent warbases and I found that they did indeed make terrain bases. There are a number of sizes of base and hole to choose, though a 2p sized hole was not on their list. This is not a problem, if you ask them they will happily make the holes this size for you at no extra cost. You can also buy integrated "bottoms" too, but I don't need them. 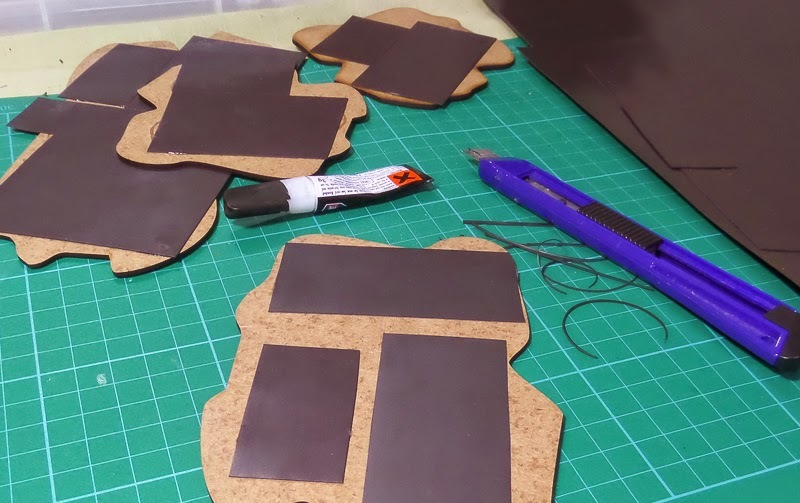 My tray "bottoms" are simply strips of magnetic sheet superglued on to the mdf bases. I took the opportunity to use some of the offcuts I had accumulated from making movement trays. As you can see I did not attempt to cover the whole underside of the base, just enough to ensure each hole has a magnetic piece beneath it. When the glue was fully dried I simply trimmed off any excess. And that's it! I then flipped them right side up and added a little texture using small stones and sand in the usual way. I set them aside to dry overnight. 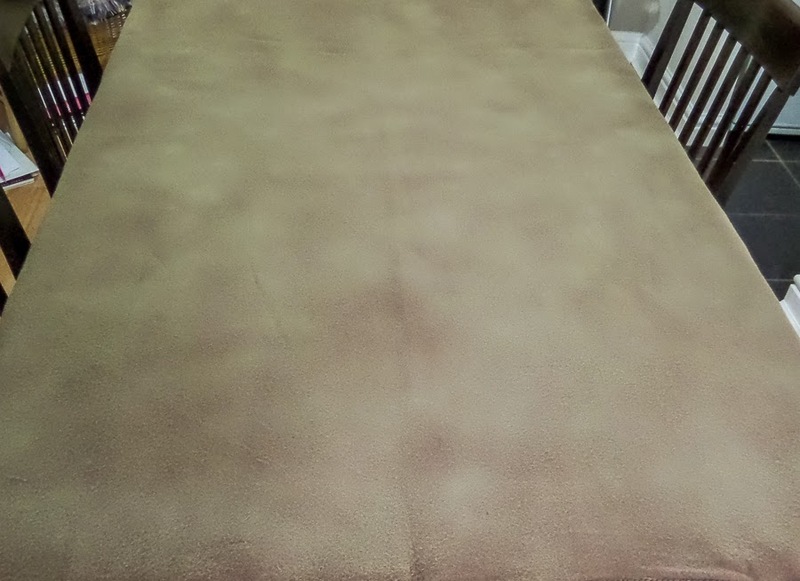 The next stage was to seal the texture. I mixed up some water and pva, to which I added a drop of detergent. Then I coloured this mix slightly with some earth colour. 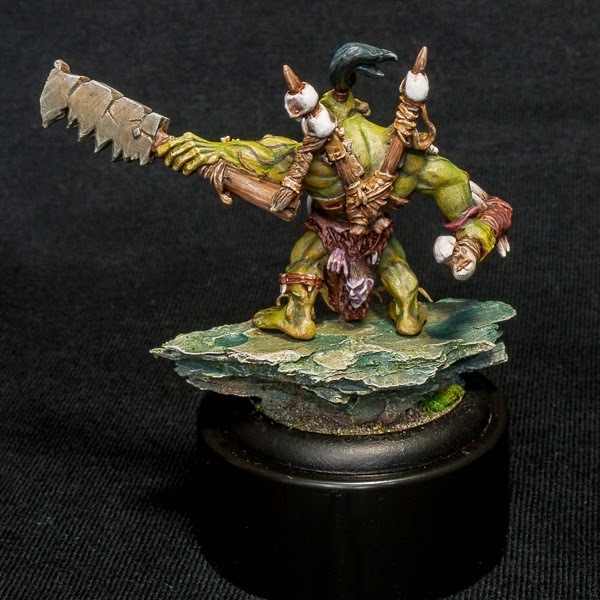 I applied this all over the bases with a big nylon brush - these can be picked up cheaply from art and discount book stores and are very useful for terrain work. Note that I have plugged the holes with (non-magnetic) 2p coins here, to prevent too much paint getting on to the magnetic sheet. After a quick blast with a hairdryer I applied a few more splodges of thinned brown craft paints, again picked up from bargain bins along the way to use in terrain projects. I kept this a bit random, though darker in the centre and around rocks was a general principle. After another blast with the hairdryer it was time for the moment of truth. I knocked out all the non-magnetic coins, a couple had to be prised out as a little paint/glue had managed to seep in. This was easily removed with a bit of tissue. Then the magnetic based trees were popped in for the test. Two of these three trees actually stayed in with the base held fully upside down, the bigger (and thus heavier) tree survived at a 90 degree angle. Not bad at all, perfectly adequate for gaming. There's still a little work to do on the bases with regard to flocking and such like, but hopefully you get the general idea on how it all works. 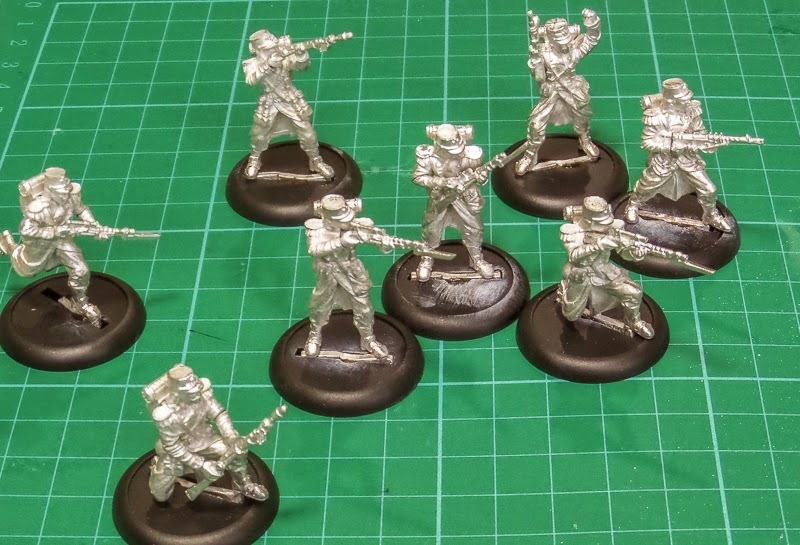 I have made a start on the figures in the Dystopian Legions starter set. I love the aesthetic of the range, the merging of historical, fantasy and steampunk is perfect for me. The background looks interesting too, had a brief flick through the booklets included. So far, so good. On the figures themselves: let me preface my comments by stating that I am not a fan of metal, my preference would be resin, plastic, pvc, then metal. The prepping is a chore that has to be got out of the way as far as I am concerned. There is no poseability as in plastic kits, it's just stick them together as shown on the back of the box. There are no instructions, so the back of the box diagrams are absolutely essential. The photo shows the French Legionnaires. They are very nicely designed and proportioned, none of the chunky nonsense that so many old metals suffer from. Cleaning is straight forward, the mould lines are very fine and, for the most part, easily accessible. Assembly is stress-free, one or two of the arms pieces were slightly twisted, but nothing too serious and the metal is pliable and bendable - note that when cleaning the barrels of the guns you have to exercise care that the thinner bits are not bent or snapped. The backpacks fit nice and snug on the models. As metals go, not too bad at all. I know that the Antarctica automatons are going to be a completely different story - a real scary story that maybe I should have posted for halloween, but more on that in a future post. I am also making progress in deciding on the colour schemes. I have been collecting images to use as reference. The French will be blue, white and red of course, with the Marines a different blue and more metallics. I have collected a number of images from historical and steampunk/art sites, so have a good idea of the direction I want to go. 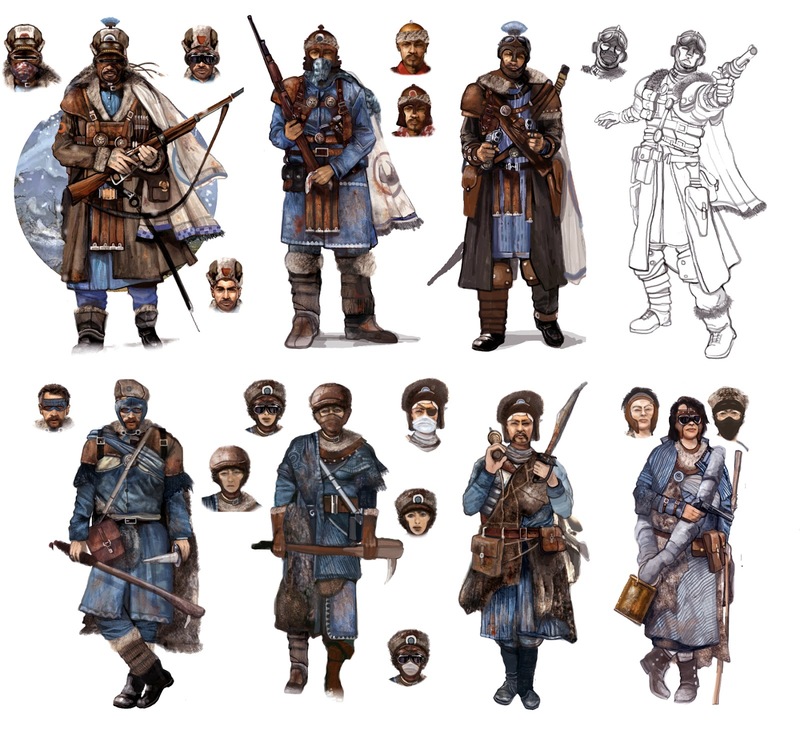 The palette for the Covenant of Antarctic troops is less easy to decide on. I want to avoid blue to easily differentiate from the French contingent. I am thinking along the lines of sea green and greys and whites. It will click into place at some point. I love this part of a project, researching background, colours and anticipating the painting. If only the prep was as enjoyable - le sigh. 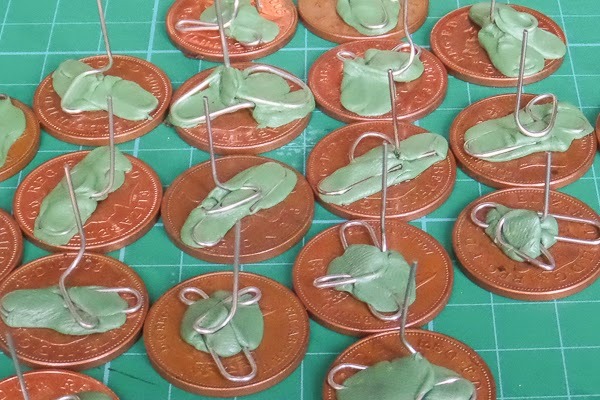 In the first part I made the bases from pennies and paper clips, then textured them with sand and stones. While waiting for them to dry I made a start on the trees. 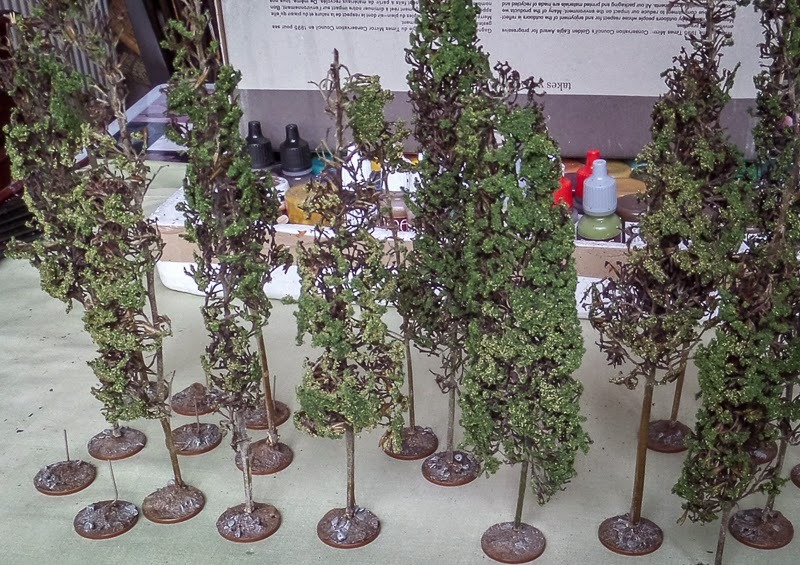 Some of the best wargames trees I have seen are made from seafoam, basically a dried twig! 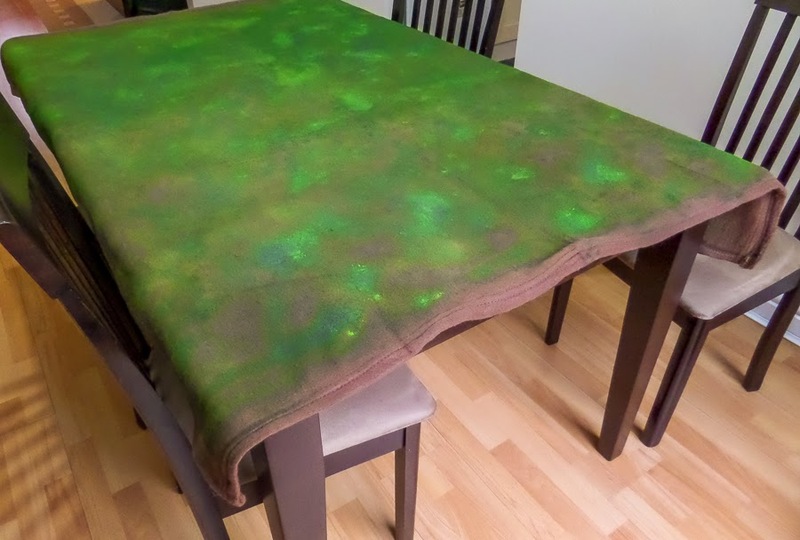 So I started to look around for something similar, but free (the seafoam trees are £20 or more on ebay). I also wanted something more conifer, less deciduous. 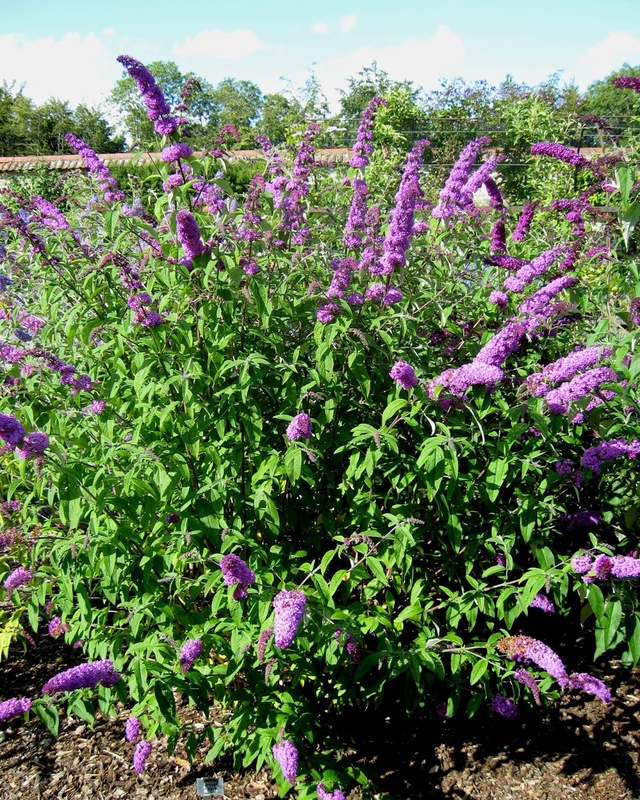 Luckily for me, I have a huge buddleia bush in my garden, like in this photo, only mine is about twelve foot tall. The flowers have gone over now and it gets pruned back every autumn, so I snipped off a few of the dead flower heads. They are reasonably robust, twiggy things. As you can see from these two photos, I simply bundled them together using elastic bands and clothes pegs, these are now hung up in my garage drying. After a few days they will be ready to be turned into trees. I had some pre-trimmed from a couple of weeks ago and worked on them. When they dry they lose a bit of their substance and become a little bit more ragged, but that's not necessarily a bad thing. I drilled holes in the stem, which are still quite soft though woody, to slide down on to the base "pin". 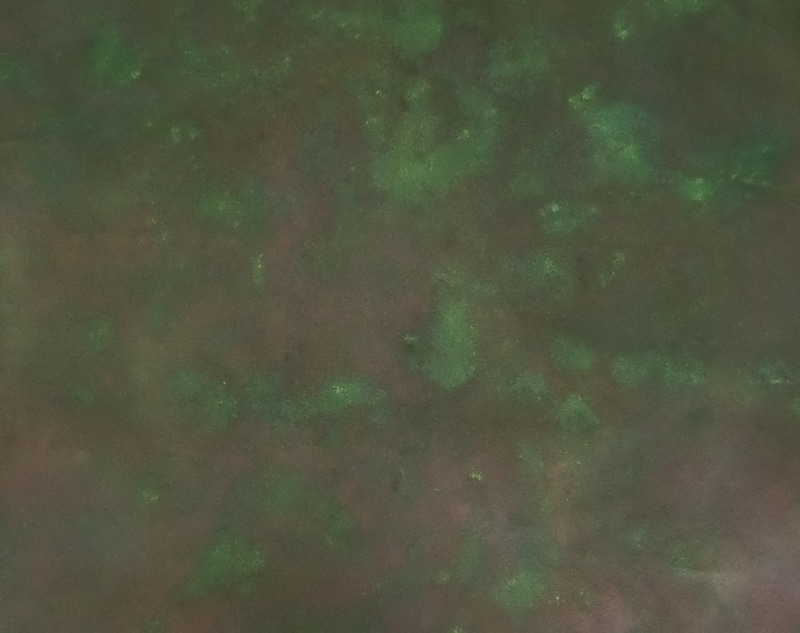 To add foliage, I mixed up some pva glue, water and a touch of detergent in a shallow tray. 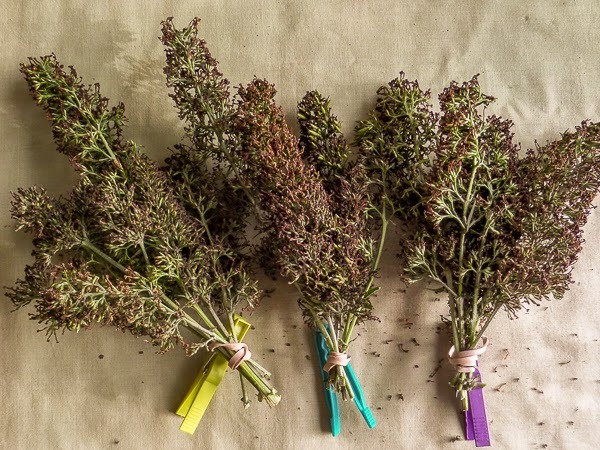 The dried flower heads were dipped into this to give them a coating of the glue mix. Then I dipped the gluey twigs into some dark green flock, followed by a lighter green flock - one tone of flock looks a bit false. I then put the new leafy tree on to the base, left them overnight to fully dry. The next task is to fix the flock on to the trees. For this I sprayed them with a hairspray, hopefully this will hold it in place. 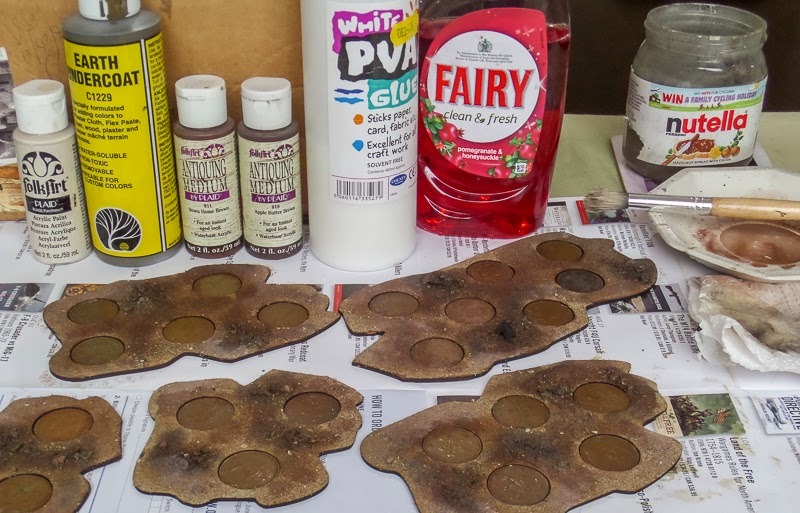 I have also read about spraying with diluted pva, but I went for the easier option. I have no idea if this will work, I can tell you better in a few months time after some gaming time, but I am treating them as disposable to an extent - if they fall to pieces/disintegrate, I can just rustle up some more in a jiffy. 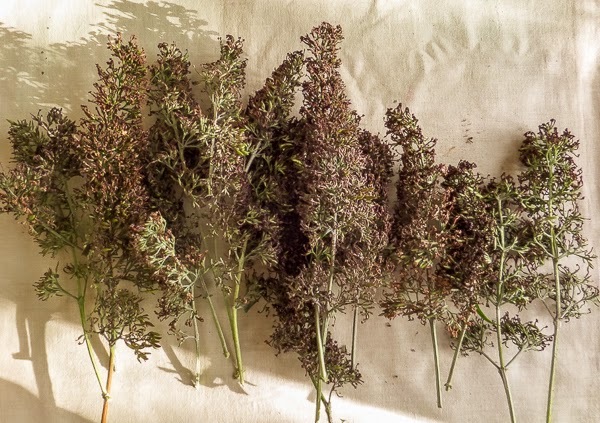 The total time to make the trees - trimming, drilling a hole up the trunk, dunking in glue and flock, hairspraying - is negligible, extended by drying times. It's about an hour to make up 15 to 20, enough for a few stands. And that's what I will be writing about in the next part, making a base for the individual trees. EDIT (six months later): There's good news and there's bad news on these trees. The good news is that the hairspray technique work. 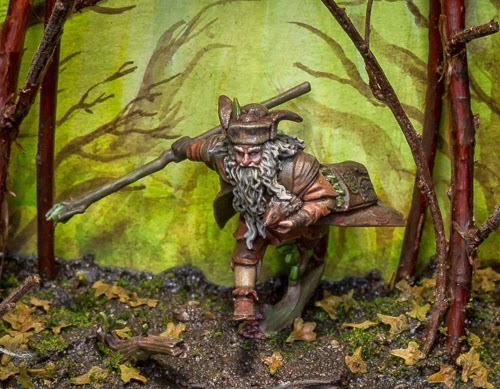 The flock has stuck to the trees, so I can recommend this as a quick and easy way to stick foliage on to your terrain. Now that bad news. The vegetation is starting to crumble. It's too soft and does not last more than a few months. If you want a quick and temporary set of trees, it's fine, but they will start to fall apart after a few months. Ah well, the bases and the hairspray were sound ideas, but the cuttings need to be harder. 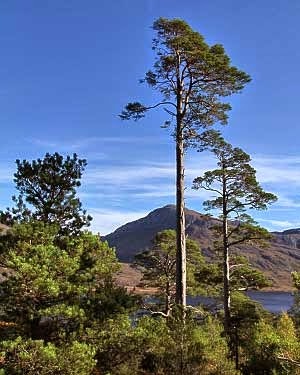 I suspect old heather plants would yield some spectacular trees, anything that is quite tough would do. Happy arboreal hunting! It's been a few weeks, but I finally managed to get another game of WotR. This is my third attempt, I have read through the rules a couple of times and gaming buddy Matt has played a few extra games. Between us, we just about know the basic mechanics now. 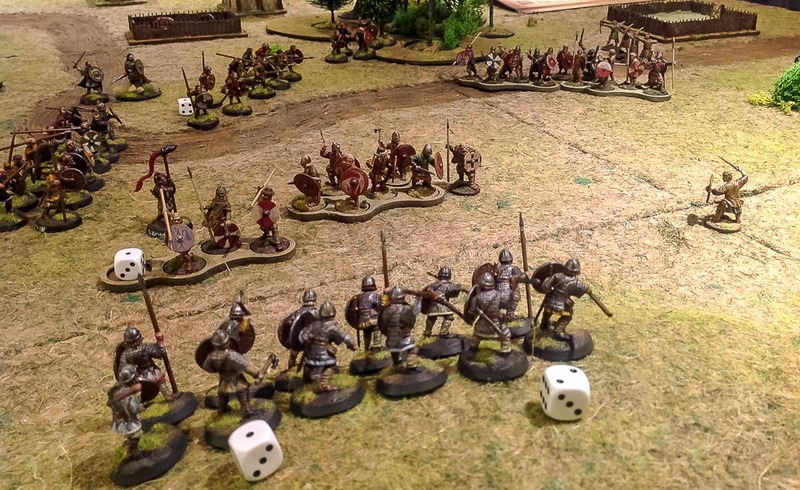 The rules are pretty simple and well laid out, so it's a good mass battle system to play if you like to spend your time moving units and rolling dice rather than poring through a rules book. It could easily be adapted to historical games if you skip the magic and tone down the heroic abilities. 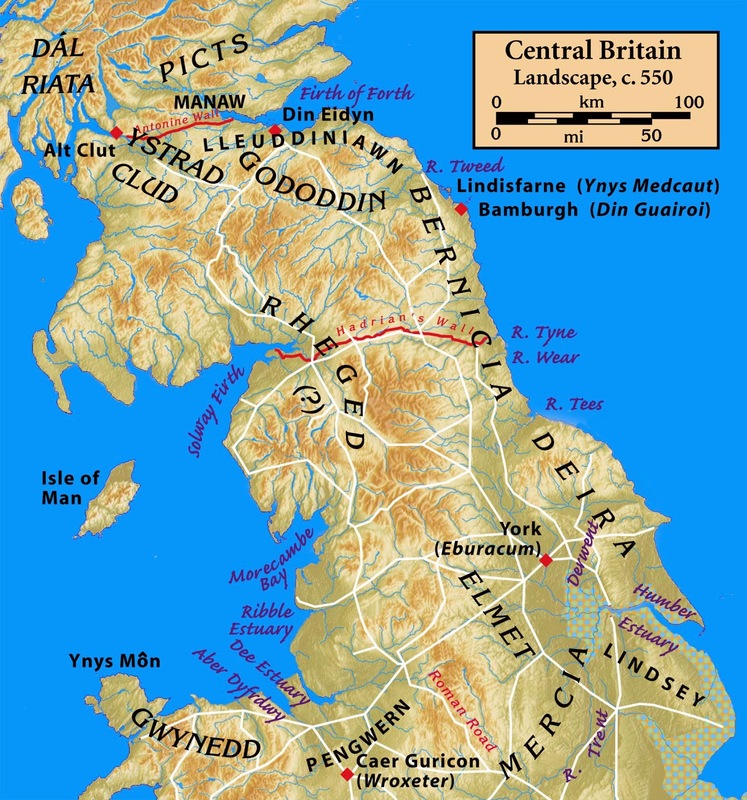 These are the two areas I am now trying to get my head round. 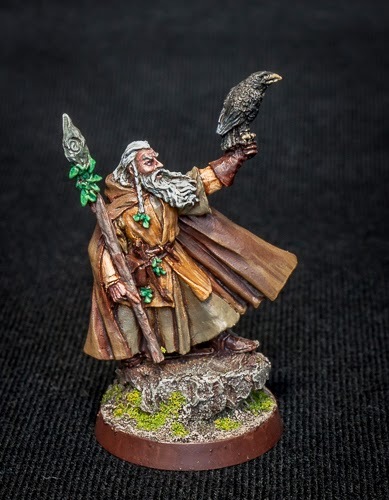 Heroes are split into two types - the generic unit leaders like captains of Gondor, and the individuals such as Boromir, Lurtz, Gandalf et al. 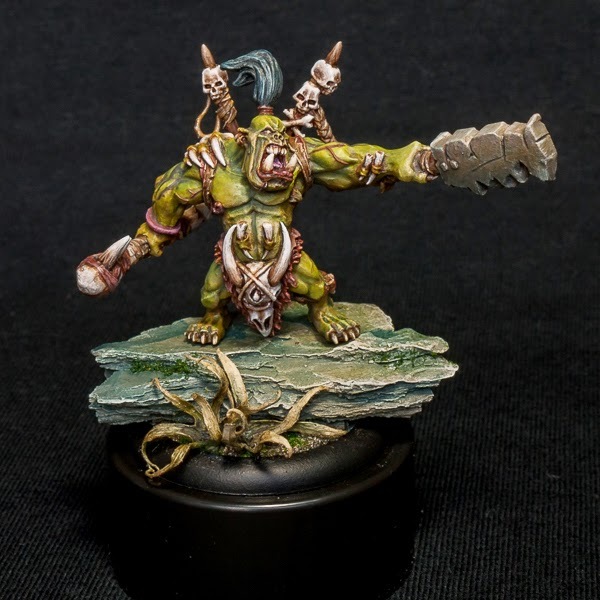 They give a unit of troops a bonus in combat and a little courage boost, ensuring they stick around in combat for longer. All heroes have might points which they can use to modify dice rolls at a crucial point. The lesser heroes typically have just one or two might points to spend in this way. Greater (or so called epic) heroes have variable numbers of might points to spend, for example Saruman has three, while Boromir has six. Epic heroes also have more special rules available to them, more actions they can perform and greater boosts they can make, often to multiple units rather than just the one they accompany. 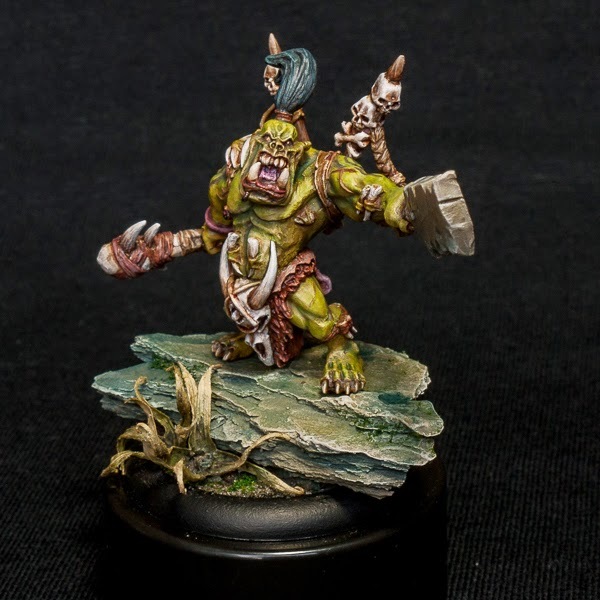 Getting the best out of them is probably one of the key parts of playing the game, but I am still at an early learning stage for this aspect of the game. Magic is simpler, though this player seems to be taking an age to decide which spell to cast! Wizards have a mastery level, 1 to 3, which determines how many spells they can attempt to cast in a turn (at the end of the movement phase). They have access to all spells in their lore, and some know spells from two lores. The spell is cast automatically, a single dice is rolled to determine the effect, with a roll of 1 being no effect, 2-5 average, 6 better. Once the spell is resolved, the caster can then try another if his mastery level allows it. To do this he must maintain his focus by rolling greater or equal than the focus level of the spell previously cast. The spells are subtle rather than spectacular, giving courage boosts or penalties, small bonuses in combat, shooting or such like. 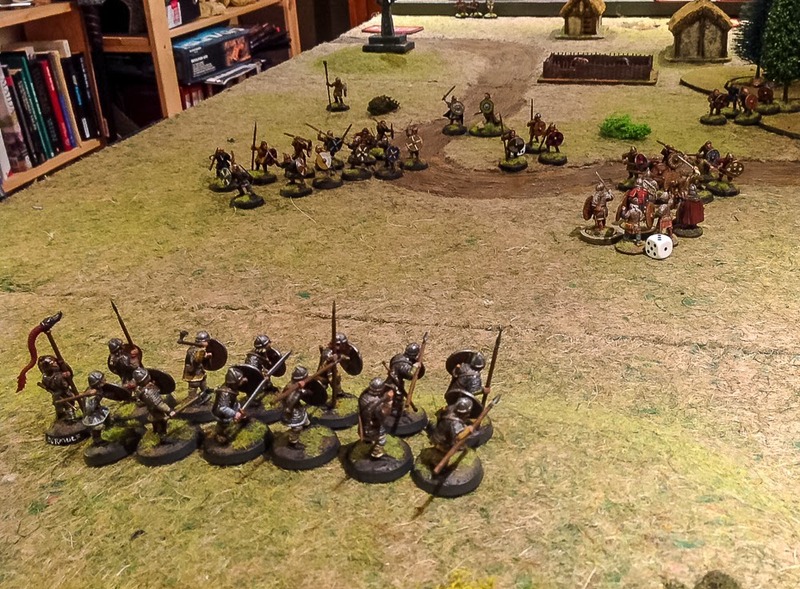 I played as Saruman and had a couple of turns casting three spells, but killed only a handful of Gondorians, though I did manage to shatter the shields of one unit, which would have been handy if I could have followed it up with a charge into them. As with the heroes special abilities, I suspect that getting the best out of the magic is to properly synergise with the troops on the field. More practise required I think. 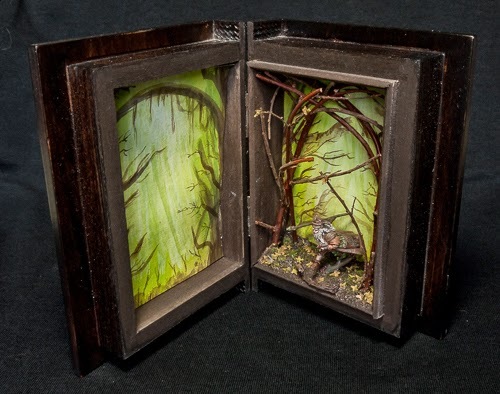 Woods and forests are one of the essential elements of any wargames terrain collection. 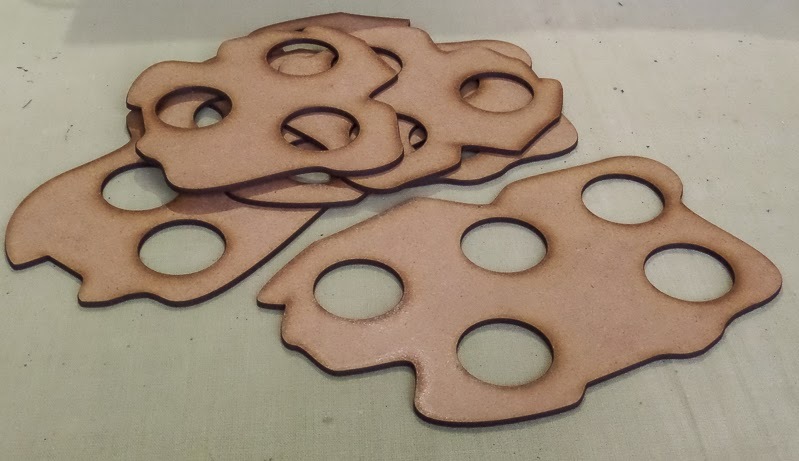 If you buy them, ready-made or in kit form, they tend be one of two designs. There's the mini christmas tree look to emulate conifer trees, or the toffee apple look to emulate deciduous trees. There's nothing wrong with them, I have a small collection myself, but they are a bit samey and far from realistic. The problem with having more elaborate and realistic trees, is that they can be quite expensive to buy, or very time consuming to make. I want to make some reasonably realistic trees, but I want them to be cheap and quick. Is this possible? I started with the roots, or rather the bases. I want my trees to be reasonably stable on the tabletop. The easiest way to do this is to stick several on to a large base, a piece of mdf, hardboard or plasticard is usually used. However, this approach can cause problems when little soldiers want to get in to the trees and they don't fit. For this reason, most gamers use removable trees. 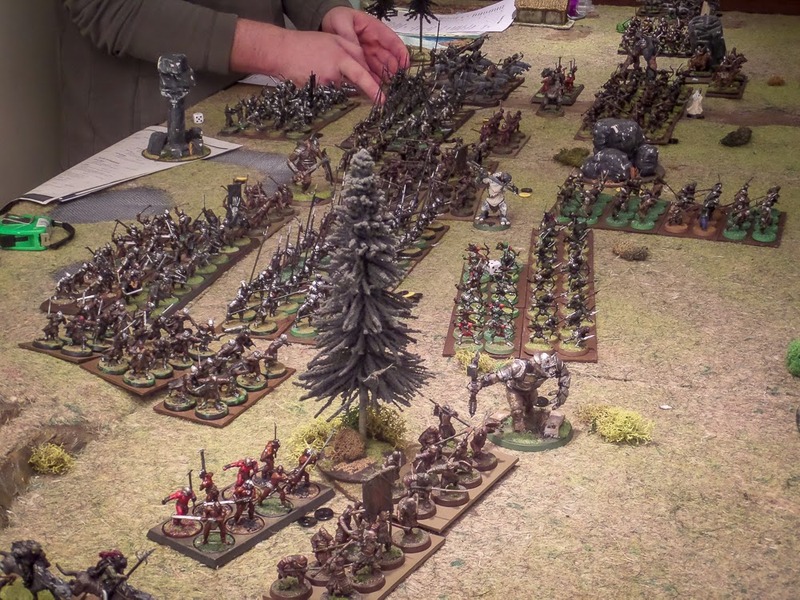 When the troops march up to the forest, just pop a few trunks to one side, march in, replace the trees and job done. So the trees need to be stable but also removable. My roots are simply paper clips, bent into mini stands with one upright "pin" on which the trunk will fit. These are fixed to a two pence piece, the more recent ones are magnetic - it's worth testing this before you go further. You could also use a washer though these are not magnetic to my knowledge. I bent the clips using my fingers, you could also use a pair of plyers. 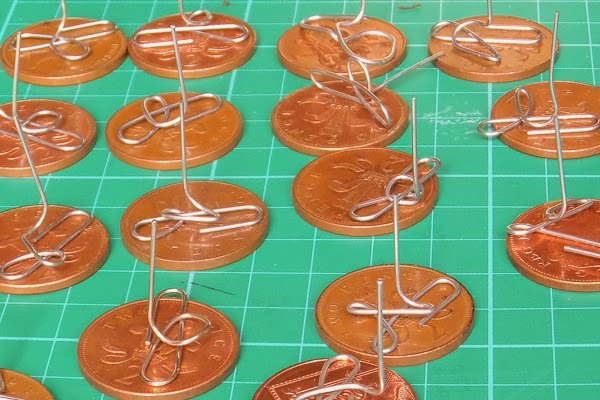 I stuck them on to the pennies using green stuff, probably not the cheapest option. An alternative would be a hot glue gun, or maybe blu tac coated with superglue. Another option that might work could be a simple tack superglued on. But I just worked with what I had at hand. 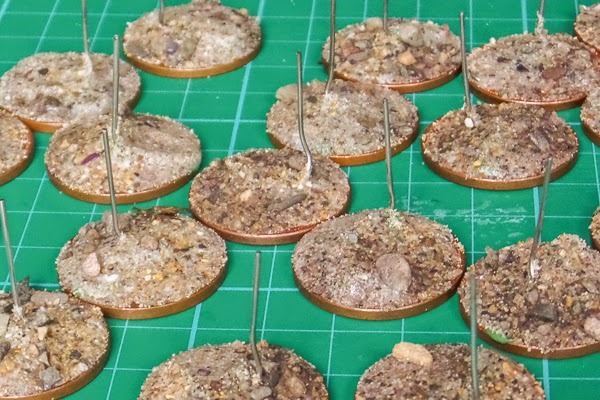 The final stage in the bases was a coat of pva glue and a sprinkle of small stones and sand. When they are stuck on they look like this. If I was making just a couple of feature trees I guess I could take more time here and sculpt on some roots - the paper clips would certainly lend themselves to this idea. But these are quick and easy trees, so no time for that. Again, you could be more elaborate at this stage and add all sorts of extra to your bases, depending on your table theme and time you want to spend. 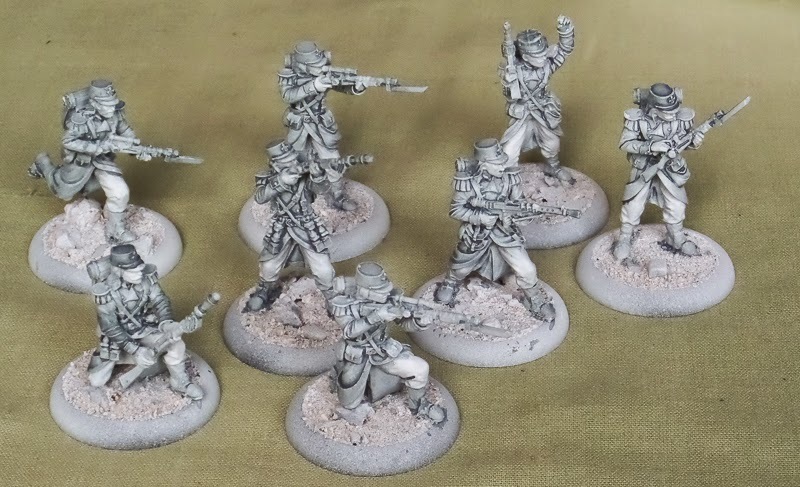 For me, these are fine and will be primed and painted in part 2.